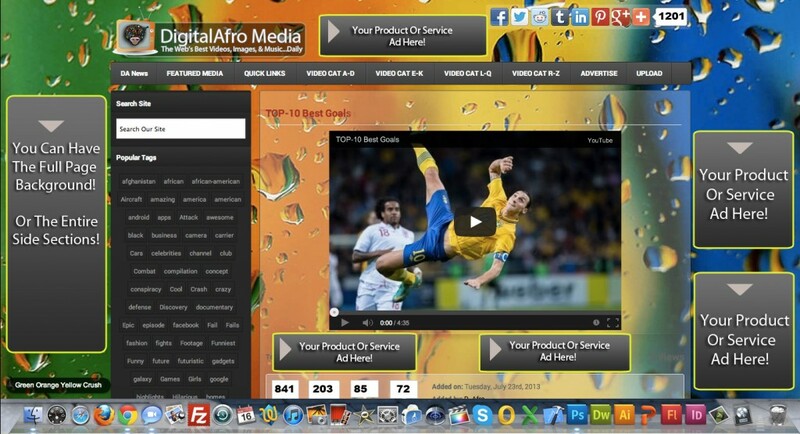 Digital Afro Media is one of the fastest growing outlets for advertisers, marketeers, and brands to gain exposure. We attract a wide assortment of visitors from different age ranges, demographics, cultural nationalities, and regions. We offer 15 different locations to place advertisements, and even an entire page background can easily be sponsored for maximum visibility. If you want to take your product or service to the next level, please do not hesitate to contact us at [email protected]. We will find a package that works best for you.